Wärtsilä Services supports its customers throughout the lifecycle of their installations by optimising efficiency and enhancing their operations, thus helping to grow their business. Wärtsilä's service network of approximately 11,000 professionals in 160 global locations is unmatched in the marine and energy delivering services to more than 12,000 customers every year. Wärtsilä Services’ portfolio of solutions and services is the broadest in the industry, ranging from supplying spare parts to optimising customer operations and providing performance guarantees. Wärtsilä is committed to providing high quality, expert support, and to making its services available in the most environmentally sound way possible, whenever, wherever. By developing close relationships with customers, Wärtsilä enables an in-depth understanding of their business so as to extend the value of its services accordingly. The Services business generates value for customers by providing reliable performance, improving environmental efficiency, and by optimising the performance of their assets. By providing analytics of installations, operational transparency is ensured, performance improved, and customers’ revenue potential increased. Digitalisation means leveraging new technologies, enhancing the core business, and building capabilities enabling installation-as-a-service future offering. Wärtsilä's competences are constantly being developed in order to extend the service capabilities to cover multiple brands of equipment. While working together with customers, Wärtsilä also believes it can make a difference in those markets in which the company operates by actively harnessing its capabilities to shape the transformation taking place in the marine and energy industries. This is done by providing a cleaner, safer and more energy intelligent environment to live in, taking an active role in shaping the market and working to fulfil Wärtsilä’s purpose in enabling sustainable societies with smart technology. Full maintenance and performance monitoring, utilising both spare parts and services (field services, condition based maintenance, dynamic maintenance planning). Optimising customers’ businesses via analytics, proactive recommendations, efficiency improvements (e.g. fuel cost savings), and shared performance targets for the operation and maintenance of their equipment. Guarantees for the operational reliability, performance and uptime of customer assets. Spare parts for equipment, with an emphasis on excellent delivery performance and the availability of a broad range of parts. Wärtsilä Services’ lifecycle solutions enhance asset performance and help business growth by utilising digital innovations and advanced data analytics to create a holistic approach that goes beyond maintenance and servicing. Lifecycle solutions offer measurable and guaranteed benefits in a safe, reliable and environmentally friendly way. These include increased competitiveness in daily operations, improved asset and business availability and performance, productivity gains and cost benefits, as well as maximised installation life. New to the agreement offering is the additional capability connected to renewables, including PV Solar and Energy Storage technology. Wärtsilä tailors its lifecycle solutions to enable customers to choose from different levels of partnership agreements. The scope of the agreements may vary from covering every aspect of day-to-day operations and related maintenance and administration tasks, to guaranteed asset performance solutions where Wärtsilä guarantees the operational reliability, performance and uptime of the customer’s assets. 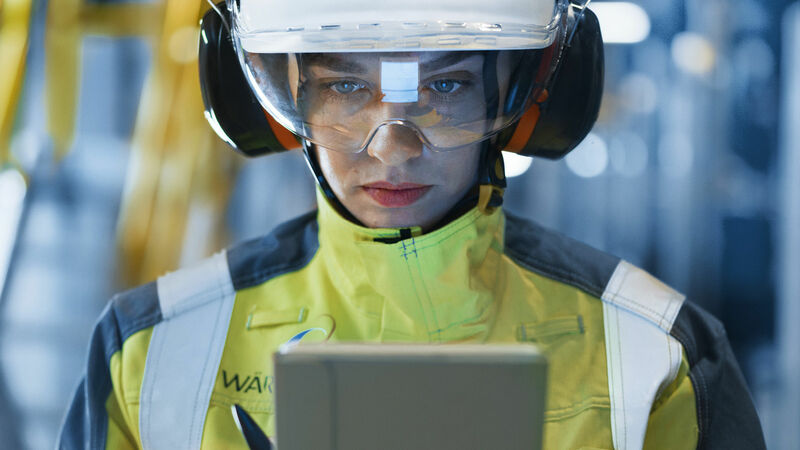 Wärtsilä Genius services utilise the advantages available from connectivity and real-time data gathering to optimise operations, deliver more value, and enable growth. A tailored security support for the installation helps keep industrial control systems secure and compliant. Eniram – a Wärtsilä company – provides the marine industry with leading insights for asset, operational, and commercial shipping management. Eniram solutions range from single vessel services to comprehensive fleet wide solutions to maximise efficiency through digital insights, cost savings, and maximising overall profitability, while reducing emissions that harm the environment. Project management capabilities enable Wärtsilä to optimise the performance of its customers' installations through upgrades, modernisations, fuel conversions, and safety solutions. Wärtsilä provides complete global services for medium- and low-speed diesel, gas, dual- and multiple-fuel engines, and related systems. The broad extent of the offering ranges from standard engine overhauls, to optimisation retrofits that improve the performance of older installations. Customers operating with multiple engine brands are served by QuantiServ, which offers specialised, fast and reliable support, as well as maintenance and repair services. Specialised professionals provide re-manufacturing and in-situ services, as well as flexible repair and overhaul services for auxiliary engines and generating sets. The offering includes spare parts, maintenance and repair services, and versatile conversion and upgrade solutions for turbochargers – provided by a global network of certified turbocharger workshops. Turbocharger maintenance is essential for the overall performance of the engine. A complete range of services to maintain performance throughout the lifecycle of propulsion systems. Parts, repairs, maintenance, modernisation solutions, and efficiency upgrades are also provided in order to keep propulsion systems running powerfully and efficiently. Many of Wärtsilä’s products and services are designed to have a direct and positive environmental impact, either by improving efficiency or by eliminating or reducing polluting emissions from customer processes. These solutions include, for example, fuel conversions, low NOx solutions, upgrades or modernisations, ballast water management systems, and exhaust gas cleaning systems. The company offers a broad range of sealing, bearing, and stern tube solutions in the form of integrated systems, packages, and products. These services offer lifecycle efficiency and reduced risk, and are environmentally sustainable. The offering includes seals, bearings and associated equipment and lifecycle services focusing on modernisations and retrofits to optimise operational performance for hydropower, tidal power, and industrial power applications. Wärtsilä Services operates in the marine, energy and oil & gas industries, as well as in hydro and industrial related businesses. The main driver for the Services business is the size and development of Wärtsilä’s installed equipment base, which consists of propellers, engines and other products. However, the offering and competences are continuously being developed in order to extend the service capabilities to cover multiple brands of equipment. The market conditions faced by Wärtsilä’s end customers have a direct impact on the utilisation rate of installations in operation, and dictate the need for services relating to maintenance, lay-down, or redeployments. Throughout the lifecycle of any installation, there are various maintenance requirements, as well as possible needs for upgrades or life-extension services. Wärtsilä's customers may also face the need for retrofits and upgrades of their equipment based on structural changes to their operating environments, such as changes in the availability or pricing of fuels, regulatory developments, or increased safety requirements. Wärtsilä has a strong position in servicing equipment that has been sold and designed by Wärtsilä. The key differentiators are a truly global presence with a fully owned service network and the capability to provide support and optimise performance throughout the lifecycle of the installation. Only a few other players are able to provide such a broad service offering globally; these being other Original Equipment Manufacturers (OEM) focusing on their own equipment brands, and independent service companies. Competition is, therefore, fragmented in nature and consists mainly of local players with a limited offering scope, such as parts traders, repair yards, local workshops, component suppliers for spare parts (non-OEM), and field service businesses. Wärtsilä is constantly developing its global footprint and local operations in order to serve its customers with superior quality, while at the same time meeting increased demands for a speedy response. In the energy industry, the competition for lifecycle solutions comes from a few regional players capable of offering plant operational services. In the marine market, the competition for lifecycle solutions is even more fragmented with some ship management companies serving this segment. Digitalisation is expected to bring new types of players to the market, leading to new types of potential disruption. However, it also provides opportunities for structured players developing ecosystems based on increased collaboration and connectivity. Long-term relationships with customers and an in-depth understanding of the operation of their assets. The track record and capability to deliver complex projects with performance guarantees. As one of the marine and energy industries’ leading partners, Wärtsilä Services supplies efficient solutions that can benefit both the customer and the environment. Environmental efficiency should be seen as a holistic process of identifying and planning activities to optimise installation performance and reduce emissions. It starts with analysing the true condition of an installation and optimising the equipment, operations and maintenance to meet the appropriate standards and requirements. Many of Wärtsilä Services’ products and services are designed to have a direct environmental benefit. By eliminating or reducing polluting emissions from customer processes, they are able to continue operating without restrictions in sensitive areas around the world. Wärtsilä provides customers with the tools for enabling compliance with both current and future environmental legislation, helping them contribute towards a clean society. With up-to-date equipment, well-planned maintenance and skilled operation, a power plant’s energy efficiency can be kept at a high level throughout its lifecycle. With customized lifecycle upgrades, its energy efficiency can even be considerably increased. A boost in energy efficiency decreases emissions, thus reducing negative environmental impacts. Wärtsilä offers a range of solutions for improving the energy efficiency of a power plant – from the replacement of a single component, to complete modernisation or operation and maintenance solutions. A site audit by Wärtsilä’s energy efficiency experts helps identify equipment and processes with improvement potential. The overall energy efficiency of a vessel is determined by choices made throughout its lifecycle. Improvements in energy efficiency lead to increased profitability, reduced emissions, and a more sustainable brand image. When looking for ways to improve the energy efficiency of a vessel, optimising its operation and engine and propulsion systems can offer significant opportunities for savings. Utilisation of the latest digital technologies and data intelligence enable continuous monitoring and optimisation of the operations of the entire fleet. Predictive analytics and optimisation systems help the crew and operators to become more energy efficient. Wärtsilä can develop a holistic optimising strategy that covers the entire lifecycle of a fleet, or provide a customised solution to a specific challenge.